Dzień Pojednania, w Polsce zwany także „Sądnym Dniem” – jedno z najważniejszych, najbardziej uroczystych religijnych świąt żydowskich, o charakterze pokutnym. Przypada dziesiątego dnia miesiąca tiszri. Jom Kipur kończy okres „10 dni pokuty” (Jamim Noraim), rozpoczynający się w Rosz ha-Szana. Od zachodu słońca pierwszego dnia (czyli w wigilię) do zachodu dnia następnego obowiązuje całkowity zakaz pracy i ścisły post. Zakazane jest mycie się, namaszczanie ciała, odbywanie stosunków seksualnych, a nawet noszenie skórzanego obuwia. Jom Kipur jest jedynym świętem, do którego Żydzi żyjący w diasporze nie dodają drugiego dnia. Wynika to z trudności zachowania ścisłego postu przez dwa kolejne dni. 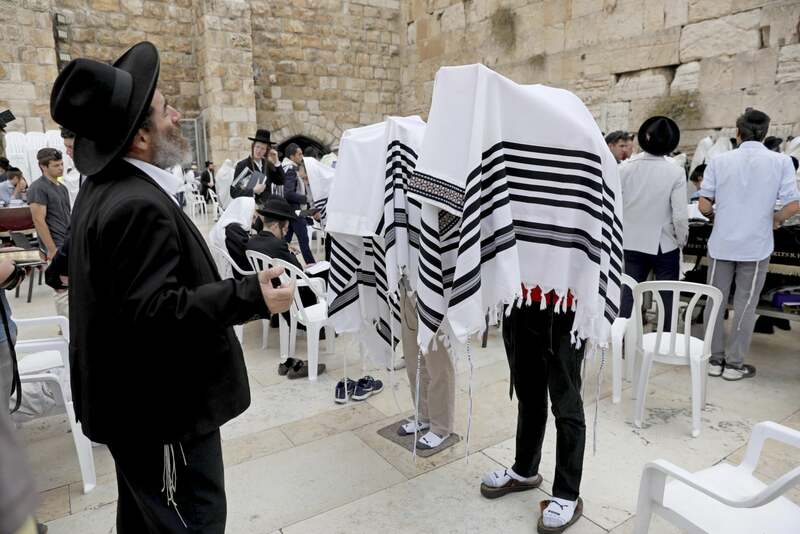 epa07007550 Ultra-Orthodox Jews clad in a prayer shawl pray at the Western Wall in Jerusalem’s Old City, 09 September 2018, prior to the Jewish holiday of Rosh Hashanah, which will start on the day’s evening. Prayers are usually recited in the lead-up to the high holidays of Rosh Hashana (New Year) and Yom Kippur (Day of Atonement). EPA/ABIR SULTAN Dostawca: PAP/EPA. epa07007553 Ultra-Orthodox Jews clad in a prayer shawl pray at the Western Wall in Jerusalem’s Old City, 09 September 2018, prior to the Jewish holiday of Rosh Hashanah, which will start on the day’s evening. Prayers are usually recited in the lead-up to the high holidays of Rosh Hashana (New Year) and Yom Kippur (Day of Atonement). EPA/ABIR SULTAN Dostawca: PAP/EPA. 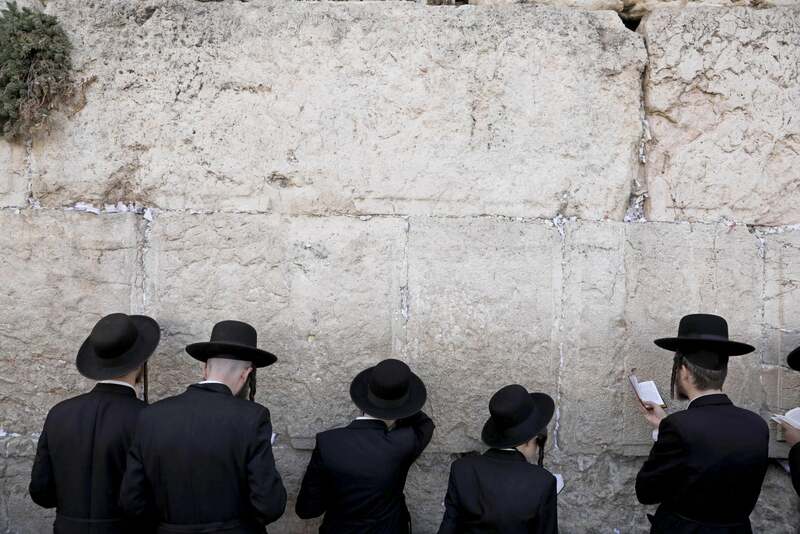 epa07007555 Ultra-Orthodox Jews clad in a prayer shawl pray at the Western Wall in Jerusalem’s Old City, 09 September 2018, prior to the Jewish holiday of Rosh Hashanah, which will start on the day’s evening. Prayers are usually recited in the lead-up to the high holidays of Rosh Hashana (New Year) and Yom Kippur (Day of Atonement). EPA/ABIR SULTAN Dostawca: PAP/EPA. 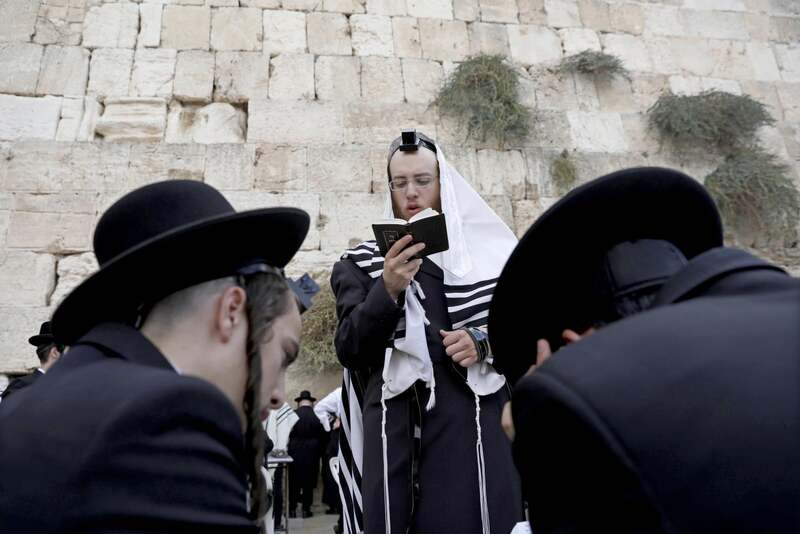 epa07007556 Ultra-Orthodox Jews clad in a prayer shawl pray at the Western Wall in Jerusalem’s Old City, 09 September 2018, prior to the Jewish holiday of Rosh Hashanah, which will start on the day’s evening. Prayers are usually recited in the lead-up to the high holidays of Rosh Hashana (New Year) and Yom Kippur (Day of Atonement). EPA/ABIR SULTAN Dostawca: PAP/EPA. epa07007560 Ultra-Orthodox Jews clad in a prayer shawl pray at the Western Wall in Jerusalem’s Old City, 09 September 2018, prior to the Jewish holiday of Rosh Hashanah, which will start on the day’s evening. Prayers are usually recited in the lead-up to the high holidays of Rosh Hashana (New Year) and Yom Kippur (Day of Atonement). EPA/ABIR SULTAN Dostawca: PAP/EPA. 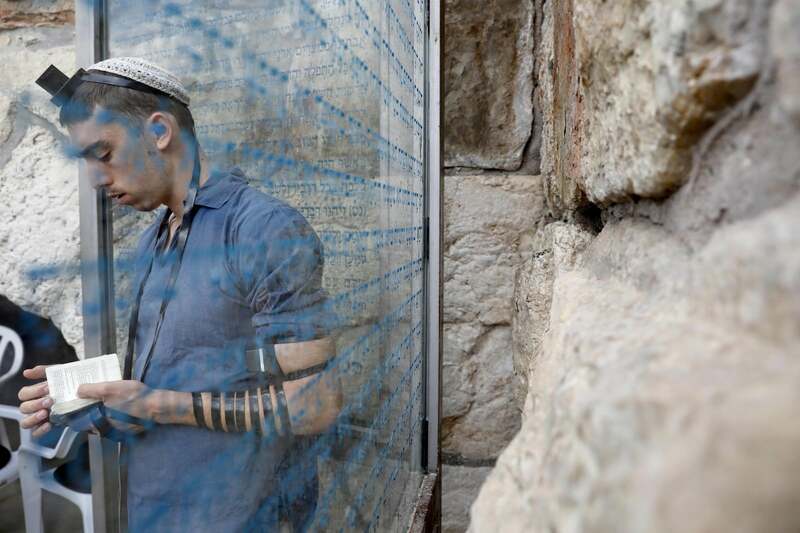 epa07007561 An Orthodox Jewish man prays at the Western Wall in Jerusalem’s Old City, 09 September 2018, prior to the Jewish holiday of Rosh Hashanah, which will start on the day’s evening. Prayers are usually recited in the lead-up to the high holidays of Rosh Hashana (New Year) and Yom Kippur (Day of Atonement). EPA/ABIR SULTAN Dostawca: PAP/EPA. 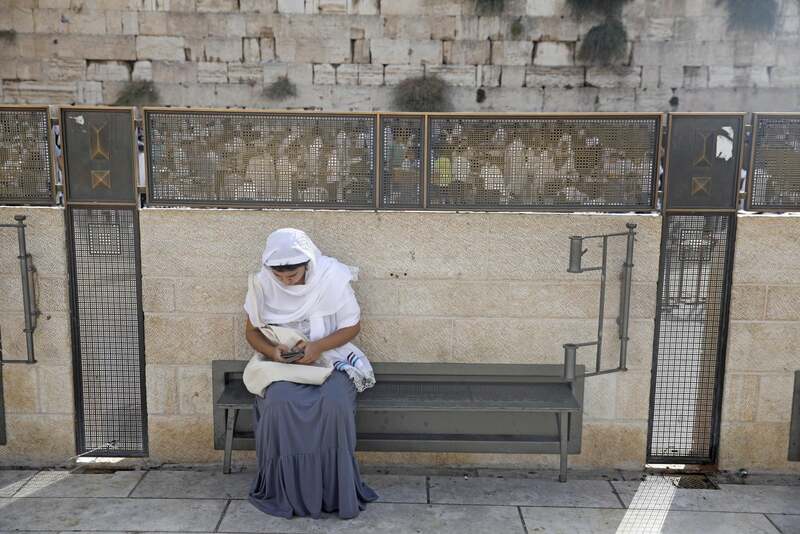 epa07007563 An Orthodox Jewish woman prays at the Western Wall in Jerusalem’s Old City, 09 September 2018, prior to the Jewish holiday of Rosh Hashanah, which will start on the day’s evening. Prayers are usually recited in the lead-up to the high holidays of Rosh Hashana (New Year) and Yom Kippur (Day of Atonement). EPA/ABIR SULTAN Dostawca: PAP/EPA. 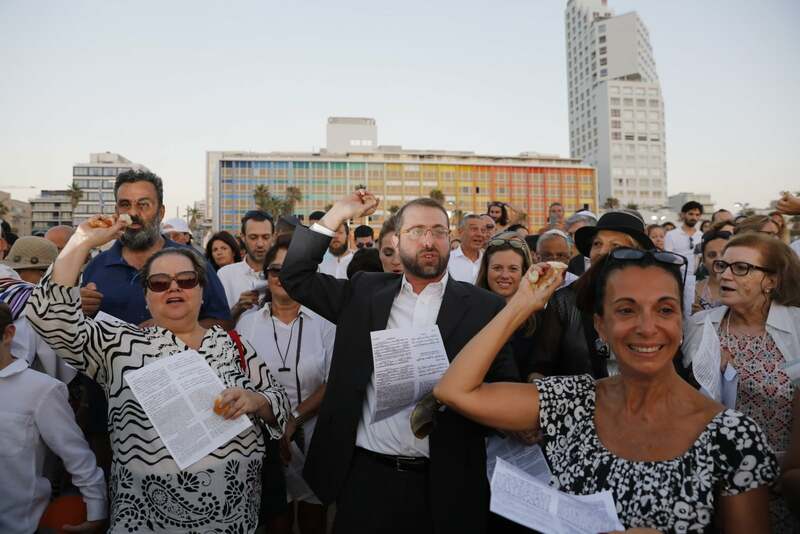 epa07011016 Jewish worshippers throw away bread as they read prayers and perform ‚Tashlich’ on the beach in Tel Aviv, Israel, on the first day of New Year or Rosh Hashanah, 10 September 2018. 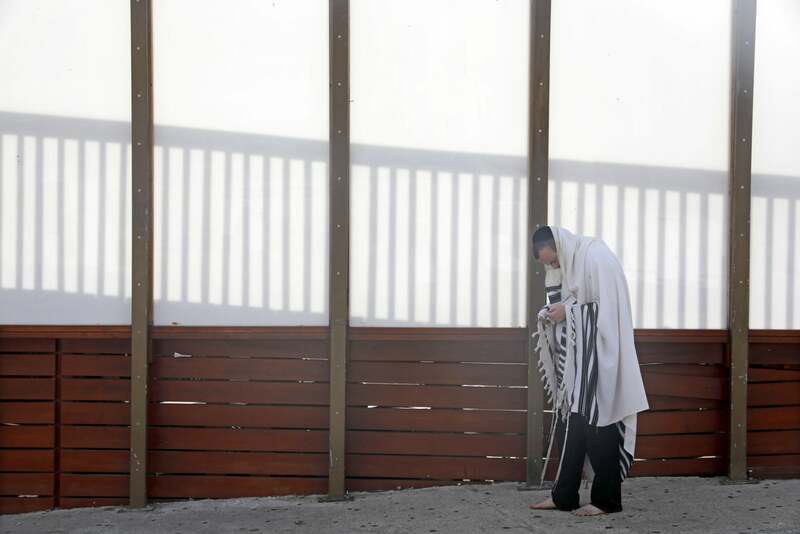 The Tashlich prayer is recited before the high holiday of Yom Kippur and signifies casting one’s sins from the previous year into a body of moving water so they may be swept away. 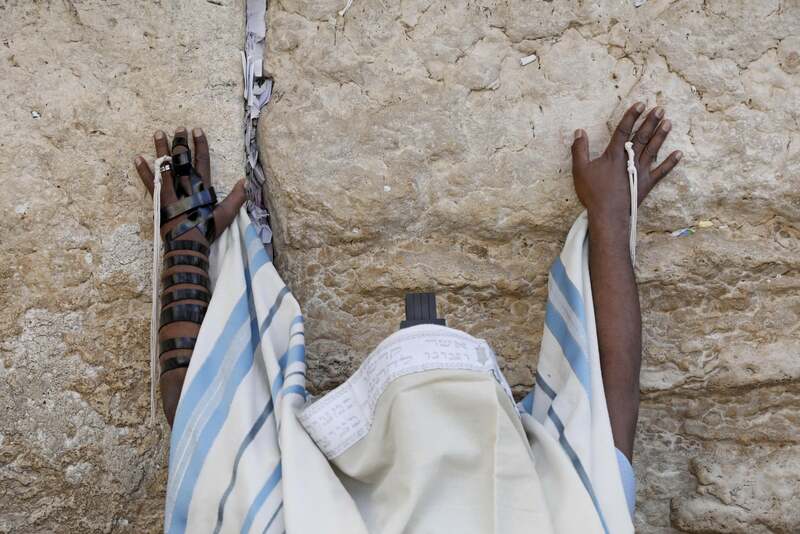 Jews are now marking the year 5779. EPA/ABIR SULTAN Dostawca: PAP/EPA. 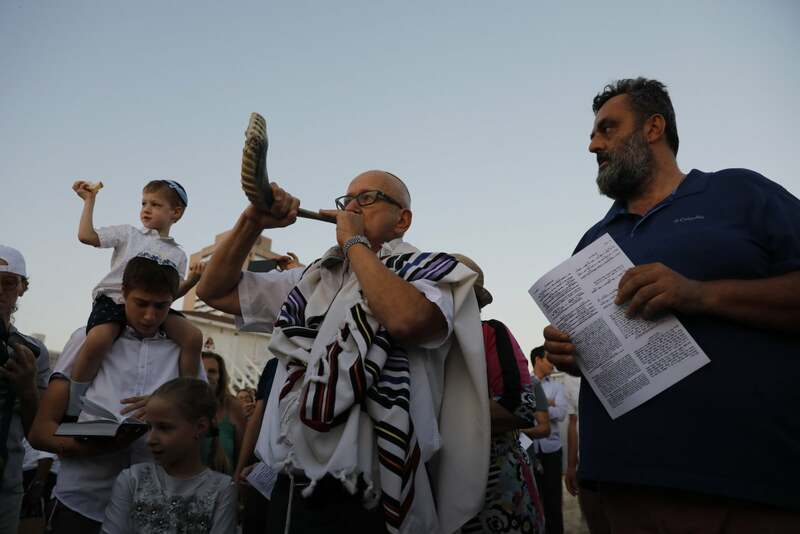 epa07011072 Jewish worshippers blows the Shofar pray and perform ‚Tashlich’ on the beach in Tel Aviv, Israel, on the first day of New Year or Rosh Hashanah, 10 September 2018. The Tashlich prayer is recited before the high holiday of Yom Kippur and signifies casting one’s sins from the previous year into a body of moving water so they may be swept away. 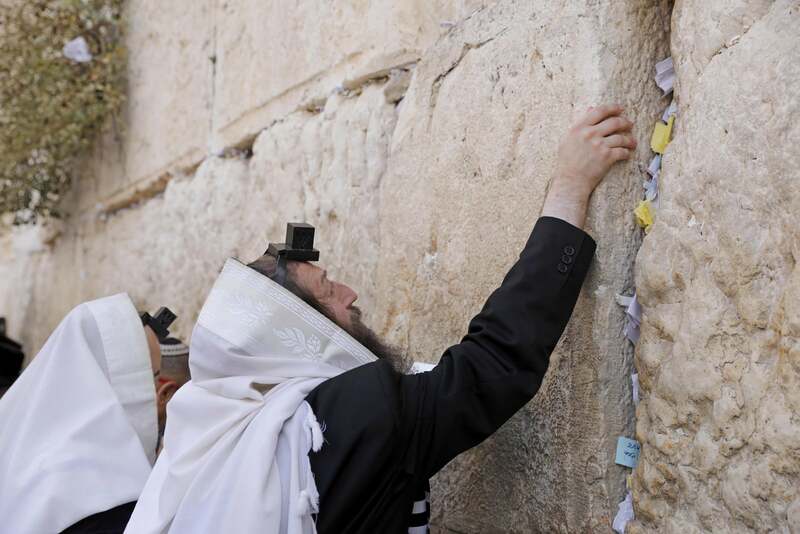 Jews are now marking the year 5779. EPA/ABIR SULTAN Dostawca: PAP/EPA.